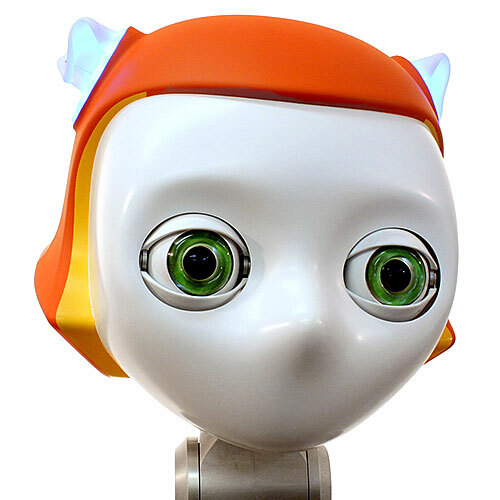 COMAN is a humanoid robot designed to safely interact with people. 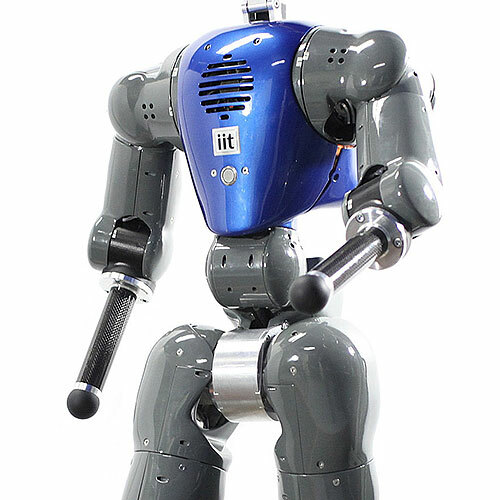 Unlike most humanoids, it doesn't have stiff joints: Its arms and legs can sense applied forces and move in a compliant way. 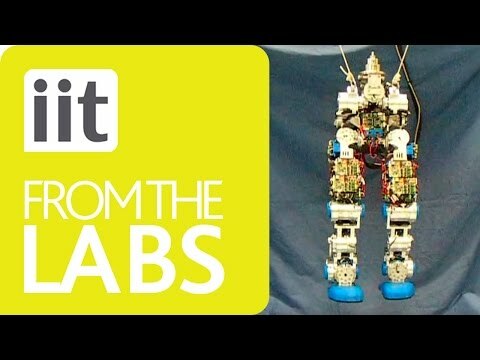 A look inside the robot. 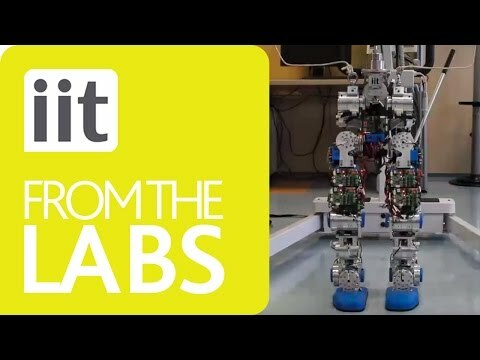 The leg uses a novel actuation mechanism. Teaching COMAN how to walk. Teaching COMAN how to balance itself. 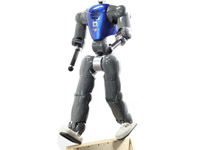 COMAN stands for COmpliant huMANoid. 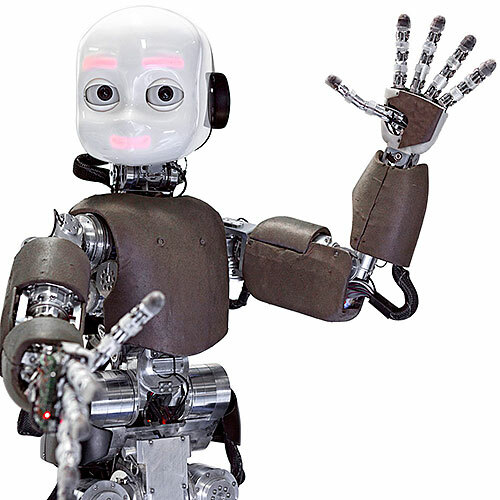 The robot recently met and shook hands with Italian prime minister Enrico Letta. Its torso casing is available in red, dark green, light blue, and dark blue. Equipped with torque and position control of all joints. 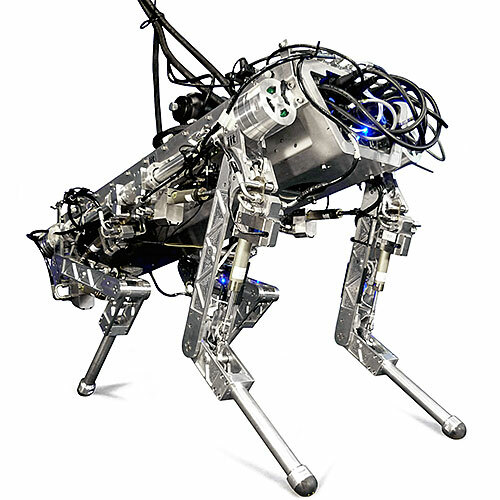 Able to stabilize itself on uneven terrain or when pushed around. 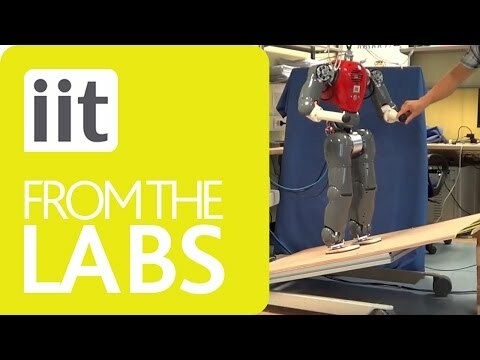 Position and torque sensing on every joint. 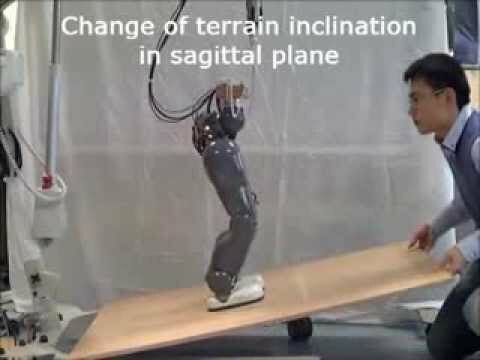 Six-axis force/torque sensing on ankles and wrists. 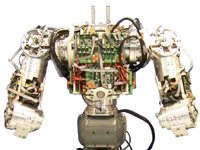 Inertial measurement unit (IMU) in the torso. Over 30 torque-controlled brushless DC motors, including 14 custom series elastic elements for enhanced compliance. Two on-board PC/104 embedded computers and custom DSP joint controller. Aluminum skeletal structure. ABS plastic casing. Titanium torso. COMAN evolved from two other humanoid projects: iCub (2007) and cCub (2010). 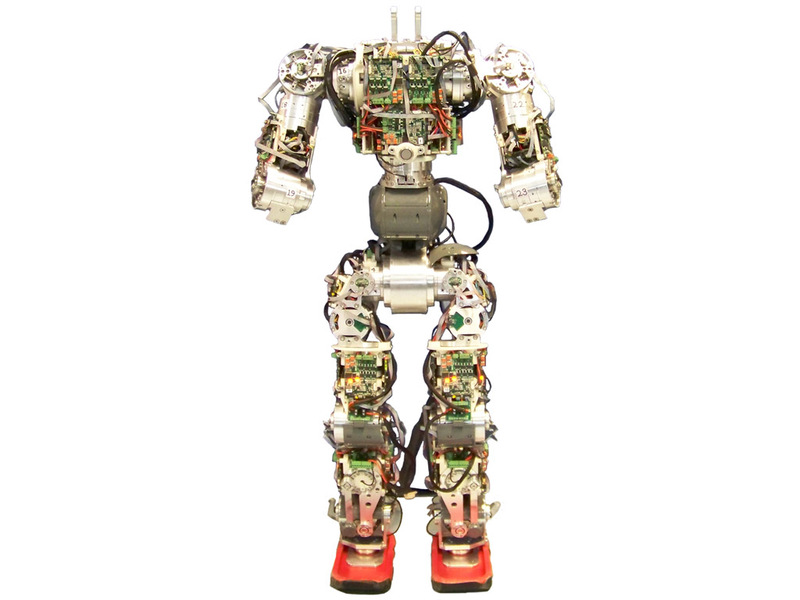 The original iCub was a traditional position controlled humanoid, and cCub was a compliant biped. 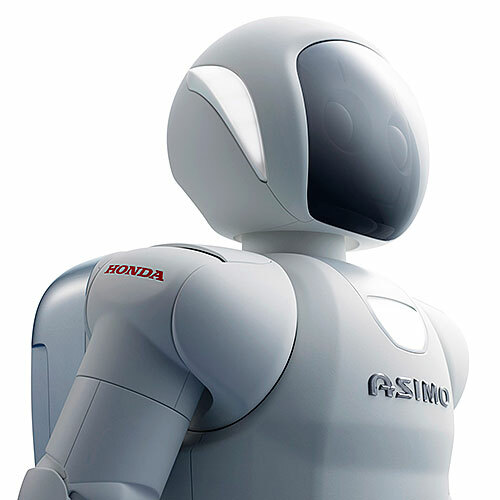 For COMAN, the goal was to create a robot that could safely interact with objects and people, even in the event of a collision. To achieve that, torque sensors were incorporated into each of the motors, providing active torque control. Passive series elastic elements were also built into 14 of the key actuators to provide hybrid active/passive control. 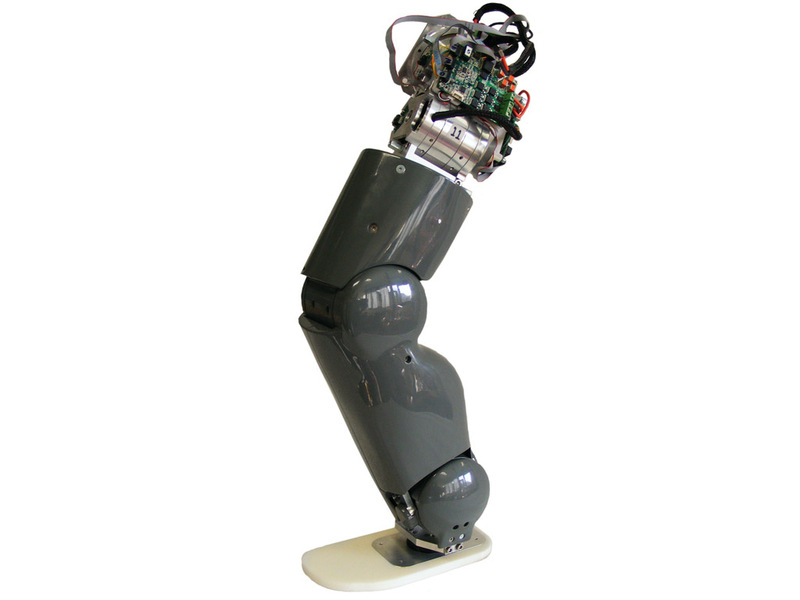 COMAN is part of the European Union-funded AMARSi project to advance whole-body manipulation, locomotion, and safe human-robot interaction.